sujan2016 wrote: Which Shrines to use for Weapon to shrine bless and shrined. 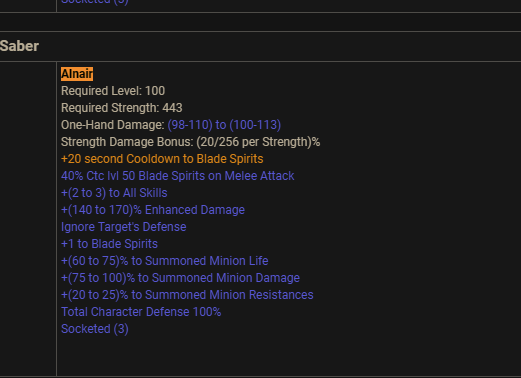 Does Minion dmg scales with my weapon dmg? ok, but i f we dont deal dmg, why should we spend points into dext for attack rating? Arubel wrote: ok, but i f we dont deal dmg, why should we spend points into dext for attack rating? you shouldnt. Just take enough str\dex for gear and spend rest in vit. U can also throw some in energy if u still bossing, helps to resummon minions right in boss arena. Please tell me how can i bless my sacred honorific with schrine.It doesnt let me do it with the honorific item. BailRestic wrote: Please tell me how can i bless my sacred honorific with schrine.It doesnt let me do it with the honorific item.